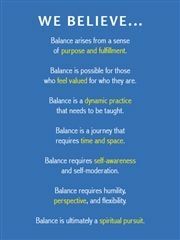 We believe students deserve balance throughout their educational journey. Imperative: Twelve years ago, in reading through the results of our Senior Exit Surveys, which are gleaned through one on one conversations between individual teachers and late spring semester seniors, we discovered that we had a wide spread issues with student anxiety, sleep deprivation, right answer addiction and cheating. 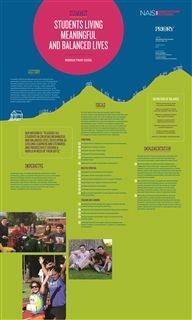 While these concerns are not unique to our school here in the Silicon Valley, nor for that matter, in the independent school world at large, these stated realities fly directly in the face of the stated mission of our school. As a result, immediate action was called for. Action: We took a “Ready, Fire, Aim” approach to the problem – our first step on the long and complex road to tackle student anxiety, sleep deprivation, right answer addiction and cheating was to reach out to the Challenge Success program at Stanford University, which is fortuitously located right down the street from our school. With some basic guidelines in hand we undertook a comprehensive and sweeping range of reforms in an effort to address the issues our kids were facing. Our work can be divided into three separate categories or themes: Structural Reforms, Holistic/Spiritual Reforms, and Pedagogical and Programmatic Reforms. Status: In the Spring of 2016, we applied for an EE Ford Grant to study the effects of our actions on Student Balance. We then formed a committee to dig into the work, focusing first on evaluating the effectiveness of our actions and then turning to progressing the work. This spring, we invited peer schools to a colloquium discussing common issues and goals in an effort to broaden the conversation on a Silicon Valley, indeed nation-wide, problem. We also participated in a couple of workshops at the NAIS Annual Conference – sharing our story and again, broadening the exploration of student balance with other Independent Schools as we strive to live our mission in real time and in real life. NAIS Workshop: "Out of Balance: Strategies for Student Well-Being in the Heart of Silicon Valley"
Are your high school students sleep deprived? Anxious? Overwhelmed? Depressed? Compromising their integrity or passion out of perceived necessity? Narrowly defining success? Ours were, too. Join us to explore the efficacy of strategies used in our ongoing work to bring mission-appropriate, healthful, and vibrant balance to the lives of our students. Discuss interventions ranging from community time to changing our mission statement, from evolving the daily schedule and eliminating bells to broad explorations of assessment and the purpose of homework. Share best practices and make plans for your school. 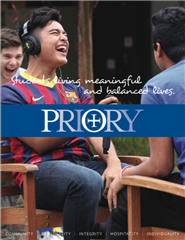 Please email us at balance@prioryca.org to start or follow up on conversations around balance, meaning and purpose. Changed Mission Statement to include balance and meaning. Changed Bell Schedule to blocks. Instituted later daily start time and Late Start Wednesdays. Changed yearly calendar to end fall semester before the December Break. Reduced the number of graduation requirements. Expanded the school wide service program. Expanded number and length of Retreats. Undertook deep exploration of the concept of integrity. 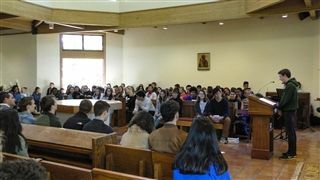 Made Chapel more student centered and holistic. Replaced junk food with healthier food options. Expanded the size and use of the school’s garden. Began a concentrated effort at educating the adult members of the community. Instituted Backwards Design Principles including Enduring Understandings and Essential Questions. Researched and implemented Authentic Assessment constructs. Conducted extensive homework value explorations. Limited maximum assessment value to 10% of the semester grade. Instituted vertically articulated Learning Competencies: Critical Thinking, Communications, Creativity, Collaboration and Resilience.